B&W A5 review | What Hi-Fi? Out of the box, it looks just like a miniature A7: a bit of a departure from the eye-catching look of the Zeppelin range, but the sleek, unassuming design will complement most rooms, and blend in rather than stand out – not a bad thing at all. With no dock connector interrupting its sleek lines, the A5 relies on Apple’s wireless AirPlay technology to play music, though there is a 3.5mm mini jack on the back to hard wire the analogue output from a device, should you need it. Luckily, setting up AirPlay with your iOS device is simple thanks to the free B&W AirPlay Setup app. Once downloaded, it walks you through steps that get you streaming your music in minutes. AirPlay is notoriously fiddly to get running, so this is no mean feat, and something we wish all manufacturers would consider as carefully. Intended for smaller rooms than its bigger brother, the A5 is an impressively powerful dock for its size, capable of kicking out rich, detailed audio that’s perfect for a bedroom or kitchen. It’s not as expansive as the B&W A7, so won’t fill larger rooms as convincingly, but for £300 less, that’s something we would expect. Listening to Gotye’s Somebody That I Used To Know, the A5 draws out the haunting vocal with beautiful clarity, while the bass guitar punches manfully. It has a tendency to be a little bright for our tastes, and rather unforgiving of less-than-ideal recordings, but playing with EQ on our iPod touch goes a long way to softening it up (at the expense of a little transparency). Put the A5 in a real home environment and it will shine. 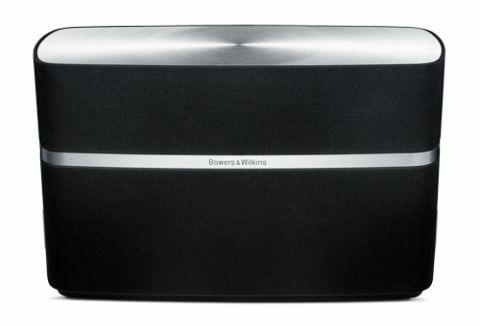 There are few AirPlay docks at this price that can challenge it in design and performance – B&W has another superstar on its hands.